Breaking news fash lovers. The bow-tie clad love of my life Brad Goreski has landed his very own show on Bravo. The working title is "It's a Brad Brad World." I'm already obsessed. This is a smart move on Bravo's behalf. 80 percent of the fun and charm from "The Rachel Zoe Project" was all because of the dashing Mr. Goreski. When word hit Hollywood the two had split ways, devastation hit. But now that I'll have two hours of pure fabulousness split between both shows, consider me the happiest girl alive. I can't wait to see what opportunities this brings to my wonderful Brad. He deserves every bit of it. His heart is as big as his love for Chanel and I can't wait to witness the many adventures of Hollywood's most talented stylist. The Official press release stated "The quintessential trendsetter, and former Rachel Zoe assistant, is going into business for himself. “It’s a Brad Brad World” follows Goreski as he embarks on his new business venture and tries to maintain his personal life. The docu-series gives an all-access pass to an exciting year of career firsts including – Paris fashion week, the Cannes film festival, the men’s runway shows and the summer couture shows – and each new experience is sure to be sink or swim. 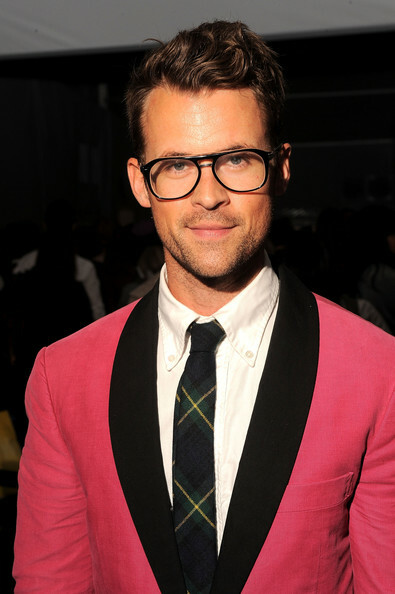 As usual, all eyes are on Mr. Brad Goreski… but this time, he’s got everything at stake"
So exciting. I'm literally jumping for joy as high as my Giuseppe Zanotti stilettos will allow me. Be sure to check out my last posts on Brad and see what he had to say about Fash Boulevard. That's so exciting he has his own show. I did a blog on animal print so I had to link to your -Leopard Loving post on that too. Your blog is great. So much good info! so excited for this! love him he's adorable! very exciting. i'm sure it will be amazing. How fun ! Cant wait to watch!! I LOVE Brad!! I think this is so awesome! I hope to watch his realy show on E! Italy very soon! Can't wait! I hope it's an hour long like Rachel's show. I was so excited when I saw this on Twitter!!! GREAT news for me, but I'm gonna say my husband will be hating lift one night a week. I'm so excited! I'm really addicted to any fashion related tv-shows, It's great to know that I'm not the only one and that there's a new exciting one upcoming after MTV turned down LC's show. I'm also looking forward to watch Joe Zee's reality in Sundance TV. Loved your blog, I'm totally following through Blogloving. LOVE Brad. Totally hadn't heard the news of him getting his own show. My DVR will be ready!